Evan+Zane perform ‘Am I Blue?’ – Billie Holiday at the Basement East in Nashville Tennessee, July 3rd, 2018 during their ‘Blue’ show. 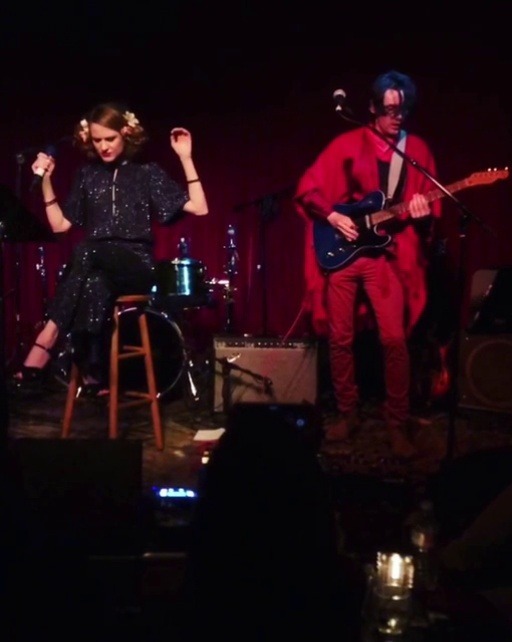 Zane Carney, Evan Rachel Wood, TV Carpio and Paris Carney performing “Because” from Across the Universe at the Troubadour 7/30/18. Evan Rachel Wood performing Blackbird live at the Troubadour 7/30/18 as a special guest during Zane Carney’s show. Celebrating Across the Universe being back in theaters.